Welcome to the most comprehensive gun cleaning kit guide on the internet. We will be looking at the best gun cleaning kits currently on the market and find out what makes them the best. The gun cleaning kits we’ll be looking at contain everything you need to prevent metal and powder fouling, rust prevention, corrosion, lubricating and more. You will quickly become acquainted with the various cleaning components necessary to keep your firearm in pristine condition. If you take care of your gun properly, it will not show any effects of old age and will function for many years. However, many people make the mistake of thinking that cleaning and lubricating their firearm before they store it away, it will stay that way. Unfortunately, this is not the case. Your firearm must be taken out time to time and thoroughly cleaned if you wish for it to stay in pristine condition. The biggest problem many gun owners face with gun cleaning kits is getting cheaply made components or the incorrect gauge or caliber cleaning kit. We have found that many kits come with cheap plastic cases that are difficult to fit all the pieces into. The other problem is having brushes bend or break while cleaning your gun. We have looked at thousands of reviews to avoid these issues and bring you only the best gun cleaning kits that will withstand the test of time. Bronze Brush – Each kit comes with a number of bronze brushes. The bronze brush is generally used as a first pass down the barrel to remove heavy carbon buildup. When purchasing a kit pay attention to they materials of the brushes. The best brushes are made from high quality bronze. Nylon Brush – Included in the larger cleaning kits you will find brushes made of nylon. These are designed for the sensitive parts of the gun, where using the bronze brush may not be a good idea. Nylon brushes are designed to reach carved areas and other hard to reach spots. 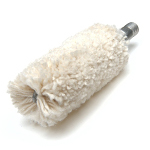 Cleaning Swab – Used in the same way you would a brush, the cleaning swab or gun mop, is made of cotton and is designed to remove any left over residue in the barrel. Once you’ve removed all of the buildup, the cleaning swab is great for removing access oil that is in the barrel of your gun. Cleaning Jag – A cotton cleaning patch is placed in the center of the jag and you are able to get a 360 degree clean with bore surfaces. Most jags are nickel plated or brass, which prevent from scratching the inner barrel. It’s very important to make sure all solvent is removed, as it can dry out and cause the metal to rust. Slotted Patch Holder – Rather than providing a cleaning jag, many kits will include a patch holder which is designed to perform the same function as the cleaning jag. Used for the same purpose as the jag, you put the cotton on the end and it helps to remove access solvent. Cleaning Patches – Are dipped in your favorite cleaning solvent and then placed on the end of the cleaning jag or in the slotted patch holder. Then you slowly push it through the chambers and bore with a jag. Patches come in a variety of different fabrics and some are thinner than others, so pay attention to the details when you purchase these. Cotton Swabs – Are a popular choice for detailing all firearms. The long wood handles make them easy to push down a barrel and you can apply more pressure. Gun cleaning cotton swabs usually come with 6″ wooden handles and cotton tips in packs of 100. 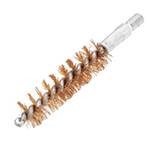 Double-End Brushes – Similar to the brushes that you attach to your cleaning rod, these are toothbrush style brushes that you can use to clean the exterior of your firearms. They come in a variety of different materials, including stainless steel, nylon, and brass. Cleaning Rods – Possibly the most important tool in your gun cleaning kit, the cleaning rod is used to attach all of the above components. Cleaning rods come in a wide variety of shapes, sizes and materials. In our top 5 cleaning rods list, we look at the best cleaning rods and explain what makes them the best. Cleaning Solvent – This is used to clean, lubricate and protect your firearm, also referred to as CLP. Please refer to our gun cleaning solvent guide to learn how important a good CLP is. Solvents come in a variety of different types and you should familiarize yourself with the different kinds. Bore Snake – Many people think that only a bore snake kit and some cleaning solvent is all that’s required to clean your gun. Not true! Use a boresnake after firing you gun each time for a quick clean. Each bore snake is suited to the particular caliber or you gun. The universal gun cleaning kits are the most popular because you only need one kit to clean all of your firearms. If you are unsure if a certain kit will clean your firearm we have included the caliber of brushes for each kit. The universal kits are designed to clean about 95% of firearms, which include common handguns, rifles, and shotguns. Have you ever seen reviews where some people say it’s the best thing ever and then right below it someone complains that it’s junk? 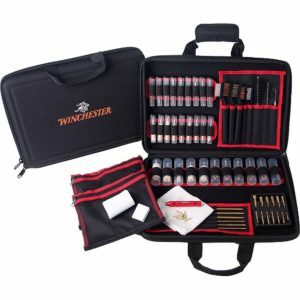 With the DAC Winchester Super Deluxe gun cleaning kit, you won’t find any complaints. It comes with a high quality, well-organized carrying case made of nylon, velcro carrying strap, and heavy-duty zipper. 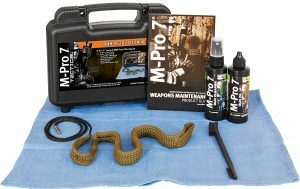 This may be one of the best reviewed gun cleaning kits, so let’s take a closer look at each of the tools to find out why. Each bronze brush has the caliber size stamped on the plastic bottle that holds it. 68 piece set which accommodates the majority of firearms. Made in the USA using high quality materials. Case contains sections for brushed, rods, mops, oil and snake. Each section is attached with velcro, so that it can be removed from the case and placed on a table. Important items this kit does not have include a bore snake, Cleaning Solvent, and Lubricating Oil. These items must be purchased separately. This kit does not come with instructions but you can find tutorials on YouTube regarding how to use everything inside. Overall this is the best universal gun kit we came across. No gun kit is truly universal and if you have an uncommon firearm you may need a special gun cleaning kit to accommodate you. 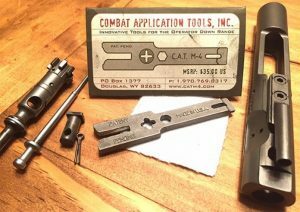 If you have several common firearms and don’t want to deal with using a kit for each of them, then this is the best option. 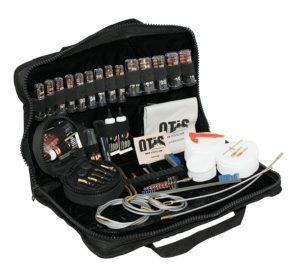 The Otis Elite Gun Cleaning Kit comes with everything you could possible need to clean all of your firearms. This gun cleaning kit is designed for advanced gun owners and includes one of the most comprehensive assortment of cleaning tools of any gun cleaning kit. The bronze brushes are very well made with the caliber engraved into the base of the rod. Every tool in this kit has a place to fit in the carrying bag. If you happen to break any of the brushes you can get replacements for a few dollars. The carrying bag is made of high quality nylon and the zipper is very high quality. The one thing that could possibly be improved is the carrying case. Many people seem to prefer a more durable hard cased bag but I like the nylon bags more. You can use the shoulder strap to carry the bag rather than having to carry it like the hard box kits with the handle. This universal kit includes 22 caliber specific bronze core brushes, with the caliber engraved on the stem. Twenty-two (22) bronze bore brushes remove copper deposits and other fouling allowing you to clean over 40 different firearm calibers. Two 5-ounce tubes of Otis O85 Ultra Bore solvent. The only thing people tend to complain about with this kit is the carrying case. The kit is very compact for being so large and has a lot of components, meaning you can’t just throw everything in the bag and zip it up. You want everything to go back into its place before zipping up the bag. Additional items you may want to add to this kit would include Hoppe’s No. 9 Gun Bore Cleaner or a different CLP cleaner and 6” Cotton swabs with wooden handles. These are inexpensive items and necessary to add to this kit to make it complete. For the price this guncleaning kit is hard to beat. 58 pieces and a waterproof, hard plastic carry case make this bargin. This set is ideal for beginners who are looking for an inexpensive kit and aren’t in need of a larger gun cleaning kit with a lot of pieces. The brushes are made from high quality bronze. Overall this kit is much better than you would expect for price and has just about everything you need for common firearms. Ideal for beginners that are just starting out and aren’t looking to spend a lot of money or time maintain their firearms. 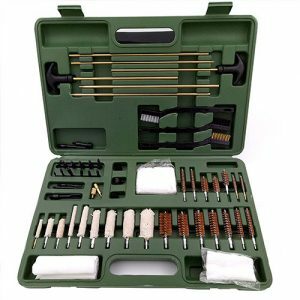 This universal kit includes 10 brushes and mops for 10 different calibers. Waterproof, hard plastic carrying case. Instruction booklet detailing the contents of the kit. The cleaning rods are not the highest quality and there have been complaints of them bending and breaking. Overall the quality of this kit is a little below average when comparing it with the best gun cleaning kits. Perfect for beginners that are just starting out and don’t want to spend a lot of money on a cleaning kit. 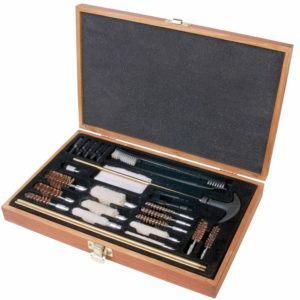 One of the only Universal Gun Cleaning Kits to come in a handsome wooden box, this kit is designed mainly for pistols. This is not a heavy-duty kit that is meant for extreme conditions but does have a large variety of brushes for many different calibers. This is a very impressive kit for the price. 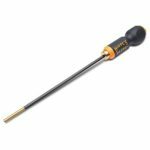 The quality of the components are average and there have been complaints mainly with the rods bending and breaking, which is the occurrence that happens often with the less expensive kits. The bronze brushes are durable and are your standard bronze brushes. A few complaints have been made regarding the box. It is a bit thin and weighs 1.5 pounds and has 1/8” oak. Perhaps a heavier box would have been nice but again you get what you pay for. 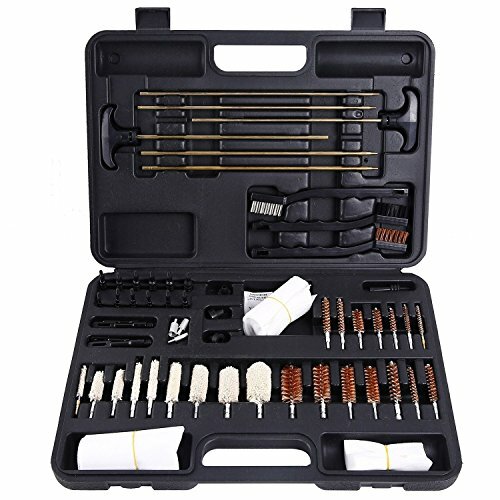 Overall, a great kit for beginners who need it mainly for .22 caliber as there have been complaints that it doesn’t fit all sizes with only eight brushes. This universal kit includes 8 bronze brushes and 5 mops for a variety of different calibers. 8 bronze brushes, 5 cleaning mops, 5 spear pointed jags, 3 brass rods, 3 pistol/rifle rods, 2 slotted patch tips, 1 accessory adapter, and 1 aged oak box. The biggest complaint with this kit is that the cleaning jags are made of plastic and not brass. Many people have said that the rods are too lightweight for leaning shotguns. It seems to be more so designed to clean .22 caliber rifles and hand guns. Many of the parts are made of high quality plastic and not brass or other metal. Also not included in this kit is cleaning lubricant or cotton swabs, which should be purchased separately. 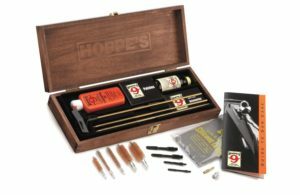 The Hoppe’s number 9 kit is a simple 18 piece kit designed for the beginner. This is one of the least expensive gun cleaning kits, so you can’t expect it to come with a heavy-duty carrying case and a lot of pieces. This wooden case is handsome and is meant to be used indoors and a little on the cheap side. It is very thin material and feels like 1/8” wood, so you need to be careful when handling the case. This kit comes with a nice set of instructions for beginners to learn all of the components of the various types of firearms. Like all things, you get what you pay for. Some people want to pay $20 and expect a kit with everything they will needs to clean their firearms and then complain when that doesn’t happen. That being said, this kit does include much of what you’ll need to clean many common firearms. The Hoppe’s No. 9 Deluxe includes a 3-piece brass rod, 4 slotted ends, 5 phosphor bronze brushes to fit the following calibers. Shotguns Calibers: 12, 20 ga. Wooden carrying case measures 26” x 8” and weighs 2.4 pounds. Hoppe’s No. 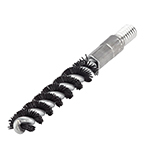 9 gun bore cleaner – used to used remover of powder, lead, metal fouling and rust. Instruction manual on how to use all the components in the kit. Most everything you need to keep the firearm clean; about the only thing missing is a boresnake and brushes, both of which can be ordered separately. Several complaints have been made regarding the quality of the wooden box cracking and being to light and flimsy. Doesn’t include everything you need to clean a shotgun and doesn’t include a 9mm or .45 brass piece. Regarding the quality of the bronze brushes, several complaints have been made that the bristles on the brushes fall off after heavy use. Overall it’s a decent kit that comes with fairly sturdy components and does what it says. The wooden box is a bit cheap and complaints have been made concerning the quality and well as the quality of the brushes. Shopping for just about anything these days can be a blessing and a curse thanks to the internet. There are literally hundreds of gun cleaning kits to choose from and many times the reviews may be deceptive or paid advertising to promote their products. It’s, for this reason, we decided to create this website, in order to give you clear-cut information on popular gun cleaning kits with no affiliation to any particular brand and no hidden motives. We only want to test out and review all the best gun cleaning kits to see which ones are really the best. One of the essential things you should consider when looking at any gun cleaning kit is the caliber. I can’t tell you how many complaints I have heard of people buying a kit and finding it will only clean one of their three guns. Don’t make this mistake and check the fine print of the kit. It’s important to become acquainted with the various components of each kit. You can spend a couple of hours reading or watch a YouTube video on your particular firearm to learn what you need to clean in properly. Using a gun vise is one of the least expensive tools that can make everything so much easier. We try to go into as much detail as possible with each gun kit we review. We take the time to watch the videos and read all the reviews, for example with the AR cleaning tools. Each tool and kit is a bit different and we carefully read through hundreds of reviews before saying something good or bad about a tool. We have not purchased every gun kit and that would cost thousands of dollars. Nor do we have all the variety of firearms to test out each kit, so the best we can do is compare reviews from gun owner’s that have used these kits and do our best to judge them accordingly with no bias. The biggest complaints are always about the case. 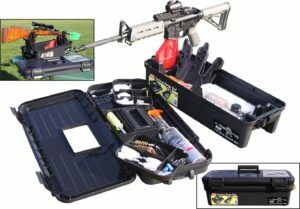 We take this into account when reviewing all of the cleaning kits but if you really don’t like your case we review the best gun cleaning boxes and cases. If you want a good case you’re not going to get it with your kit because that would raise the price. Most people spend the money to buy a good case separately and use the carrying case for traveling or range shooting. Before you buy be sure to check the warranty policy and length. We cover these things on this site and you will learn if you can return your kit if it breaks or you don’t like it. If you’re good to your gun, it will be good to you. This means preparing it for field conditions and cleaning it each time after using it. Do this and it will reward you with excellent performance and perfect accuracy. If you take proper care of your gun and use your gun cleaning kit regularly, there will be no effects of old age on your firearms. Moisture is the enemy when it comes to maintaining your gun. If you let condensation collect on your gun long enough, it will become completely useless. This usually occurs when shooting in cold weather and then going indoor where it’s warm. Other common occurrences are from rain, snow, fog, and saltwater. Salt water is an even bigger problem and if you’re shooting near a large body of salt water, the salt can collect in the air and you have to learn how to take precautions against this. You will find that antique firearms perform remarkably well, even after hundreds of years. This will only happen if you take the time to correctly maintain and clean your firearms. The process is simple and enjoyable, as well as necessary. Our verdict: What’s the best gun cleaning kit to buy? It’s very difficult to determine which kit is the best gun cleaning kit. Each kit brings something a little different to the table. It all comes down to how many types of firearms you have or plan to have in the future. We wanted to take everything into account when deciding out top pick and went with the Otis Elite. It has everything you need for a huge variety of different firearms. We are also a big fan of their flexible cleaning rods and bronze brushes. When you think of a big universal gun cleaning kit, this is the kind of kit that you tend to imagine. If the carrying case is a problem, a common option is to replace it with a tackle box. This allows for more water protection and you can add more things to the box such as cleaning solvents and cleaning rods. Don’t forget that non of these kits come with a gun cleaning mat, which should be purchased separately if you like your tables. 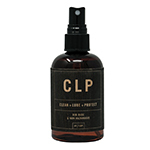 It’s very easy to spill a little CLP onto your surfaces and once it’s on there it can be very difficult to get out. The downside of this kit is that it may be more than people want to spend. If that’s the case, consider how much of an investment it is to have several firearms. Many people spend thousands of dollars on their gun collection and don’t want to pay a hundred dollars to ensure that they are clean and functional. Cleaning your guns regularity is the most important thing you can do to ensure that they last a long time. For those that are looking for a more affordable option. We did cover the Best Universal Gun Cleaning Kits Under $40. While these kits are nowhere as complete as the Otis or Winchester kits, they will get the job done. It’s up to you to decide how much you are willing to invest in maintaining your firearms. 1. 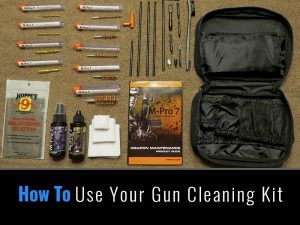 What are gun cleaning kits? Gun cleaning kits come with almost everything you need to properly clean and maintain your firearms. The great thing about kits is that you can clean a variety of guns, including rifles, shotguns, and pistols. Purchasing each component that comes in a kit is very expensive and you can plan on spending close to double if you buy each component individually. Each gun cleaning kit usually comes with instructions that detail each tool. 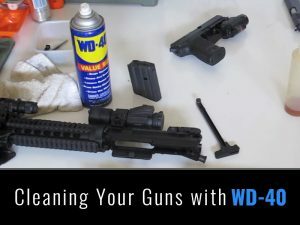 It’s actually very easy to learn how to use a gun cleaning kit and if you are having trouble cleaning your firearm be sure to go to YouTube and search for videos, you can always find something there. Otherwise, there are hunting and shooting forums that will help you. 3. What are the benefits of gun cleaning kits? As mentioned earlier there is a quick clean that you should give your gun after shooting, and there is a full clean. 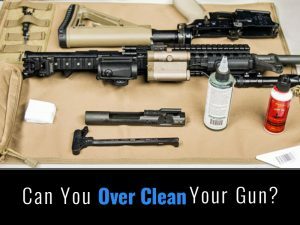 Every couple of weeks you should perform a full clean using a gun cleaning kit to keep your firearms in perfect condition. This will ensure that they do not misfire or become damaged by the elements. The other big advantage of a kit is saving money. Purchasing a kit is cheaper than buying each component by itself. 4. What types of gun cleaning kits can I buy? There are gun cleaning kits for every type of firearm but here we wanted to review the most popular kits. The kits reviewed here will cover 99% of firearms. If you have a gun that falls into that 1% then you should buy specific tools for that caliber. Otherwise just check the caliber of your firearms and be sure that the kit includes it. 5. Is everything I need in a gun cleaning kit? No, most kits do not include cleaning solvents, CLP, lubricant or cotton swabs. These items do not fit well in many of the cases and are therefore sold separately. The total cost of these items is less than $10, so it’s not too big of a deal. 6. What kind of guns can I clean with a gun cleaning kit? The Universal gun cleaning kits are designed to clean all guns. The smaller kits are specifically designed for rifles, shotguns or pistols. As always double-check the caliber on the kit to make sure it works with your firearms. 7. How do I store my gun after I clean it? After cleaning your gun you are most likely going to store it somewhere. The ideal place is somewhere dark and warm, such as a gun cabinet or safe. Be sure to apply lubricating oil to prevent rust. The best place to store your gun is a locked gun cabinet. 8. How long does it take to clean my gun? Once you get the hang of it, you can do a quick clean in about 2 minutes. That includes taking out the boresnake, putting oil on it and running it through your gun and then wiping it down. A full clean will depend on the size of your gun but commonly, takes several minutes. If you’re not in a hurry you should take your time when cleaning all your guns. 9. What’s the best gun cleaning kit for beginners? We made it easy for beginners and experts to find a kit here. Beginner kits generally have fewer components and simple instructions on how to clean your guns. Even the more advanced kits are not very difficult to use and you will get the hang of it in no time. 10. Is it expensive to buy a gun cleaning kit? Most of the universal kits cost between $20 – $100, which is not too bad considering your guns can cost thousands of dollars. The rifle, shotgun, and handgun kits generally cost around $20 – $50. 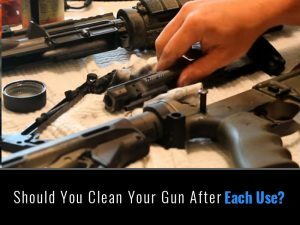 If you have one or two firearms you can opt for the single cleaning kits or just go for the Universal if you plan on purchasing more firearms.